With over 900 new breweries opening since 2013, the European beer industry has bounced back from the financial crisis. 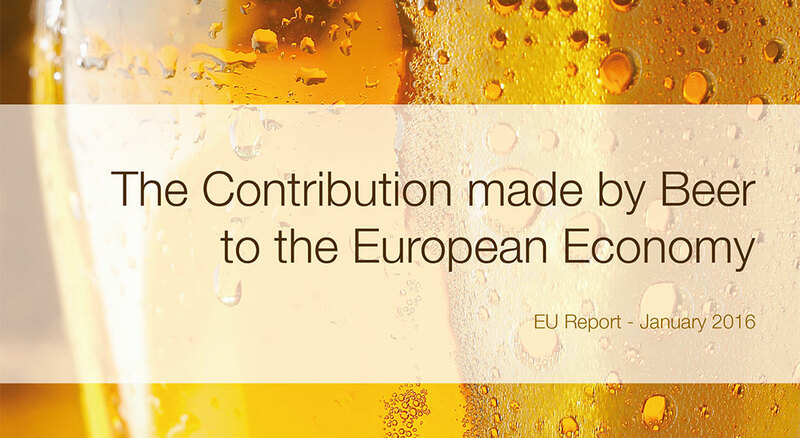 This is one of the key findings of a study released today on “The Economic Contribution of Beer to the European Economy”. The EU remains the second largest beer producer in the world after China; more importantly, the number of European breweries has significantly increased in recent years– to a total of over 6500, producing 383 million hectolitres of beer in 2014. “In this latest economic impact report, we are seeing the brewing sector flourishing again. Indeed the contributions to employment and added value to European economies increased from 2013 to 2014. 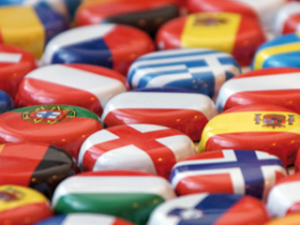 With the largest increases in the new Member States and among the major EU economies, Italy and the United Kingdom, it is clear that Beer is back”, said Demetrio Carceller, President of The Brewers of Europe, the voice of the European Brewing sector. Conducted by “Europe Economics”, the study’s purpose was to identify the impact of the beer sector across the EU and in some non-EU countries, particularly in terms of value added, employment and tax revenues. Total consumer spending on beer was over €110 billion in the EU in 2014 – roughly €200 per inhabitant. From grain to glass, beer generates an estimated 2.3 million jobs in Europe throughout the value chain. Every 1 job in a brewery generates a further 17 jobs on average – around 1% of total EU employment: 2 in supply and agriculture, 2 in retail and 13 jobs in the bars, pubs, cafés and restaurants offering beer. “If beer was a country its total GDP would compare to that of Croatia or Luxembourg (€51 billion value added); it has similar employment to Slovakia (2,3 million workers), and generates total tax revenue similar to that of Hungary (€42 billion government revenue)”, emphasized Carceller at the study’s presentation in Brussels. Beer is not only one of Europe’s oldest industries – it is also at the forefront of innovation. Brewers across Europe are investing heavily in new products, often specialty beers appealing to changing consumer tastes. The growing variety of beer styles includes an increasing number of lower- and non-alcohol versions. Exports now make up around 20% of European beer production – a significant proportion when you consider the characteristics but also transport charges of beer that is mostly locally brewed and sold. “Europe remains the traditional heartland of modern brewing. Our reputation for quality and the sector’s focus on innovation and diversity keep the world thirsty for European beer”, noted Pierre-Olivier Bergeron, Secretary General of The Brewers of Europe. The beer sector also faces challenges in Europe. Brewers need to find ways to keep beer relevant whilst encouraging moderate beer consumption within a balanced, modern lifestyle. One way of doing so is the commitment undertaken by brewers in Europe to voluntarily list ingredients and nutritional information – which is now available for consumers online. There is also a trend of consumption shifting from the hospitality sector to the home. This drift has an impact on the wider economy and is damaging to employment, as the sale of beer with its accompanying services in pubs, bars and restaurants is supports more jobs than sales through retail outlets. Finally, the tax system is of major importance to the sector’s prospects. The study produces evidence that a rise in VAT and excise duties charged on beer sales can actually lead to lower revenues through dwindling volumes or a shift in consumer preferences. “A sympathetic and supportive tax system of beer doesn’t just help brewers but also assists the whole beer value chain to build on the early stages of economic recovery and benefits the European economy as a whole”, underlined Bergeron.